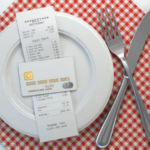 Several credit cards offer bonuses to people who eat out a lot, thanks to bonus points on restaurant spending. Which cards offer the most generous rewards dining purchases? Quite a few credit cards offer a lot of bonus and rewards while charging no annual fee. If you want more rewards and bonus on dining, or just want straightforward cash rewards, there is a card for you. Postmates Unlimited is the subscription service offered by Postmates, which is an American logistics company that operates a network of couriers who deliver goods locally. Typical goods delivered by Postmates are food, drinks, or groceries. For $9.99 a month or $95.88 per year, paid members receive free delivery on orders from all merchants on the Postmates platform when the order size is over $15.